The Short Version: The tyrant has been o’erthrown, his head upon the battlements. The English army has swept into Scotland and put Malcolm, the rightful(?) heir on the throne… but as it turns out, not everything would be as easy as they were led to believe. 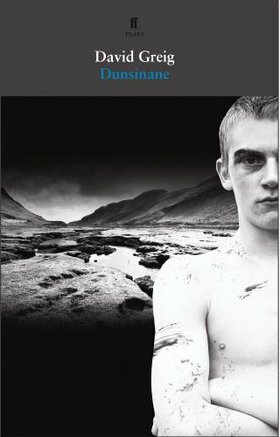 Siward, the valiant and well-meaning soldier, finds himself out of his depth in the wilds of Scotland – the terrain and the people are both quite difficult to master. The Review: I deeply regret not seeing this play during my last London visit. It was on at the Hampstead Theatre and I opted to see the terrible revival of Six Degrees of Separation instead. Woof. The Scottish Play is arguably my favorite Shakespeare. It’s fast, it’s violent, it’s full of magic and witchcraft and spooky stuff. But it’s very clear that it could’ve used a sequel. Shakespeare followed up so many of his plays, especially the ones based on history, so where was the story about Malcolm as king? The rather blah The Seed of Banquo was an attempt to write that play with Shakespeare’s constraints (iambic pentameter, the witches, etc) in mind… but as a result, it was boring and at best a pastiche of a greater talent. What David Greig did here was a far wiser – and far more nuanced – thing: he took the story and ran with it in a modern context. In fact, I’d love to put this play up right after a production of Mackers and have the actors carry over. It’d be a fascinating look at war and power. I was most concerned about this play because I’d read a review that brought up the Iraq/Afghanistan analogy that sits rather close to the surface. But I found it handled surprisingly well. Yes, it’s a parallel – it’s hard to see it as anything else. The English speakers move forcefully and quickly into a territory that is unfamiliar with politics that are difficult-at-best to discern, where the natives speak another language, and where they realize that they’re going to be in for a far longer haul than they’d originally anticipated. But we clearly don’t learn from our history and so the parallels are all-too-perfect. But it never feels overbearing or preachy. It is a story that happens to echo what’s happening in the present – not the present informing the past story. All of the characters who carry over are relatively true to their Shakespearean counterparts. Gruach, (formerly Lady Mac) especially, has a perfect throughline. She’s still scheming and conniving and beautifully dangerous. Siward is the lead in this play (as opposed to Malcolm, which is arguably a better choice) and his character gets fleshed out wonderfully. Macduff appears but remains distant. Malcolm, who I think is one of the most entertaining characters in the canon, continues to be entertaining here: he has a great monologue where he tries to explain to Siward the vagaries of the Scots and it’s just funny and also terrifying. The tough part with the play is that it sort of sputters to a close. The last scene is interesting and powerful but, much like the interminable Middle East conflict, there isn’t an easy resolution – and so we’re left wanting at the end. I’m not saying the end should’ve been happy or neat – but it just sort of fades away and that is the problem. Rating: 4.5 out of 5. The fizzle is what keeps it from perfection. It’s a damn good play though and I most certainly intend to be a part of it at some point in my life. If you have even the slightest interest in Shakespeare or The Scottish, you really ought to check this play out. It’s perhaps the perfect companion play – not sequel, companion play. It’s fitting.